Tom Knapke isn't one to talk about sustainability. He'd rather show you. 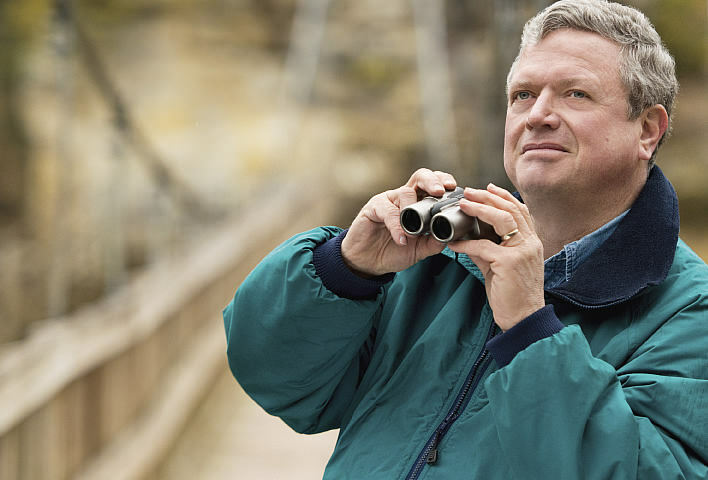 As environmental coordinator at Cayuga Station, Knapke has been showing his Indiana neighbors for years how power plants and the surrounding wildlife can thrive together. Case in point: the station's popular Eagle Viewing Day event. Eagles have returned to Cayuga for the past 25 years — fishing in the warm discharge waters of the power plant. About 24,000 visitors have flocked to the station to see them in the wild since the first event 18 years ago. In partnership with the American Eagle Foundation, Knapke has also helped the organization’s “Birds of Prey” show travel to 39 local schools. In 2012, he worked with the Indiana Department of Natural Resources and the local Ducks Unlimited chapter to band more than 150 geese near the station, to track their migration. About 30 schoolchildren were there to help. And through the station’s “Wonders of the Wetlands” program, Knapke teaches students about river ecology, wetlands functions, vegetation and the history of the area. No wonder the station was named a 2012 Friend of Conservation by the Indiana Association of Soil and Water Conservation Districts.